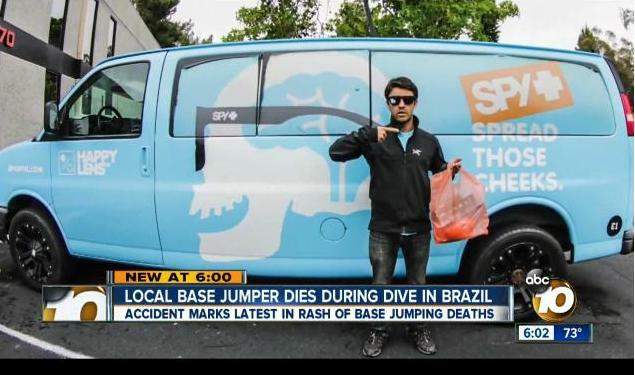 A BASE jumper from Ocean Beach has died in a recent accident in Brazil. 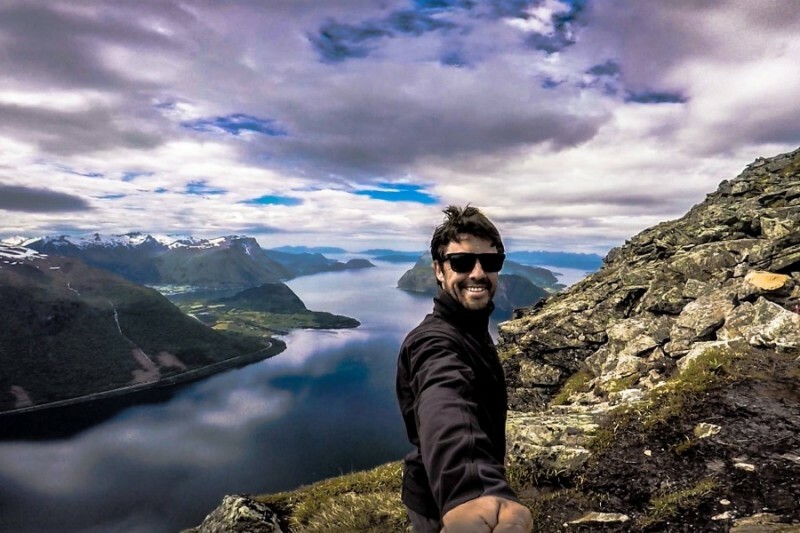 OBcean Fernando Goncalves was a professional wingsuit pilot but was killed while diving off Pedra da Gavea, a 2,769-foot granite dome mountain in Brazil. Screen capture from Ch10News of Fernado Goncalves. 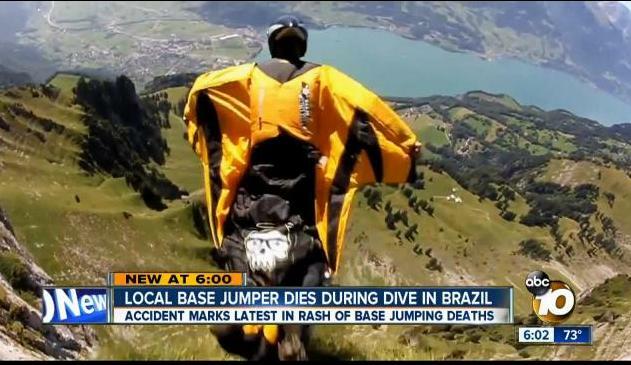 His is the fifth death of BASE jumpers in the last 6 weeks. Screen capture of video of last successful flight. Fleming told the SDU-T that he hired him as a parachute rigger nearly a decade ago, and that, according to Fleming, BASE jumping is a very dangerous sport, significantly more dangerous than sky diving for the BASE jumper only has one parachute instead of two and also because parachute deployment altitudes are much lower. The last time the two met was in a BASE jumping trip to Norway on June 20th. Goncalves posted on Facebook on July 7 a message: Enjoy every single second of life. Meanwhile, Goncalves’ friends have created a gofundme page for him in order to raise money for funeral costs and to return his body to his family. As of July 30, more than 200 people raised more than $14,000 of its $20,000 goal in three days, reaching the original $3,000 goal in just over an hour, according to his gofundme page. All funds raised in excess of the $3,000 will support his 15-year-old daughter Isabela who lives in Brazil. Thirteen years ago, Goncalves came to San Diego looking for a better life – one in which he could send money back to his daughter.